In late summer, before the thrushes, veeries and warbling vireos consume them all, the scarlet fruits of bunchberry (Cornus canadensis) adorn the floor of moist, coniferous woods. Although edible, either raw or cooked, these berries lack a distinctive flavor. Even so, Native Americans used them in puddings and sauces. 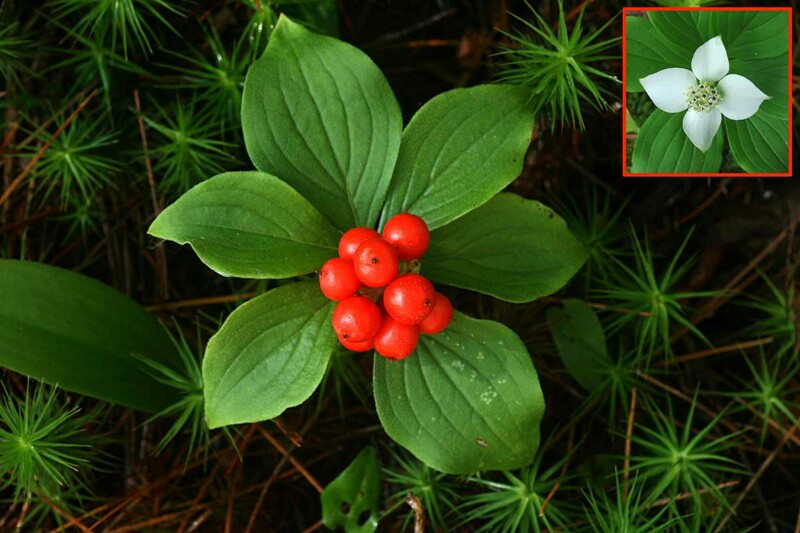 A dwarf version of flowering dogwood, bunchberry grows in colonies that develop from an underground stem, or rhizome.